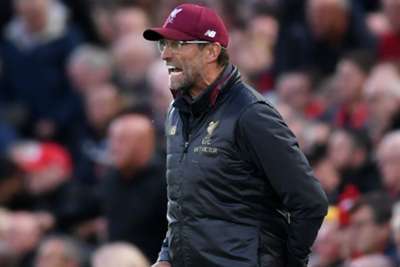 Liverpool manager Jurgen Klopp has not altered his opinion on the Nations League, insisting there are too many competitive fixtures. Klopp labelled UEFA's new tournament as "the most senseless competition in world football" recently, claiming that an accumulation of competitive encounters will only result in a higher risk of injury. Three Liverpool players – Mohamed Salah, Sadio Mane and Naby Keita – sustained injuries over this international break, although none of them play for European nations, while Virgil van Dijk featured for Netherlands despite suffering with rib problems. And Klopp, whose side face Huddersfield Town on Saturday, refused to budge on his initial assessment of the Nations League, adding that only in football are players pushed to such extremes on a consistent basis. "They say, 'Now we have proper games, real opponents and it's better than having friendlies', stuff like that," Klopp told a news conference. "Maybe people want to see [Anthony] Joshua fighting every second night but it's not possible. Nobody asks for it in other sports. "If you play American football you have a summer break which is nearly longer than our season. A real proper break! It's the same with basketball. "In football, because everyone seems to be interested in it, we only have big competitions in which you can get relegated and promoted. "Do we really want opera every night or every two months? That's the question. We have to be careful. That's all I said. "I like competition of course but at one point someone has to step back and say, 'Wait, they are players, I want to watch it, but if they don't perform then I am angry'. How can we make sure they perform?" 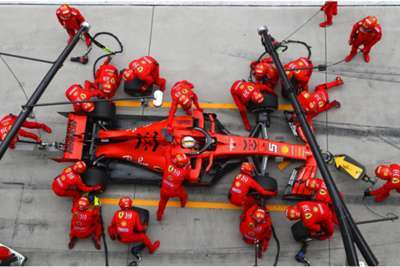 Having struggled to match Mercedes in 2019, Ferrari are beginning development of the SF90 in Azerbaijan this week.